A Tucson boy who discovered a major Facetime bug is receiving an award from Apple. 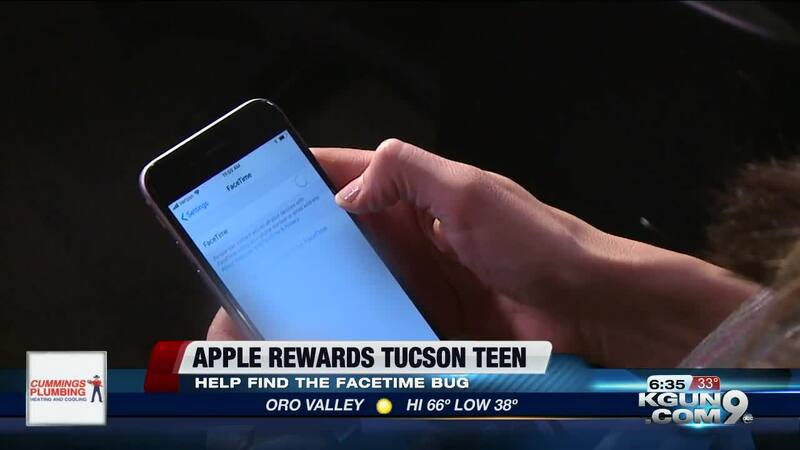 TUCSON, Ariz. — A Tucson boy who discovered a major Facetime bug is receiving an award from Apple. Grant Thompson, 14, found a bug that let a Facetime user eavesdrop on someone else. Last Friday, a high-level Apple executive flew to Tucson to meet with Grant. Grant's mother says the family tried for a week to alert Apple about the flaw before going public. Apple now says it'll make a gift toward his education.